Ability to reach millions of loving, dedicated if not fanatical dog and cat owners throughout the US. Further targeting by geography, income, homeownership, type of pet, multiple pet, age, marital status, presence of children – we get to people who are most likely to buy your product or service. 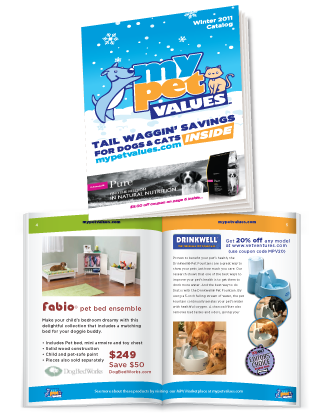 Quality, eye-catching full-color direct mail marketing that will get opened, read and retained. Larger format and better quality than typical non-targeted national mailers. 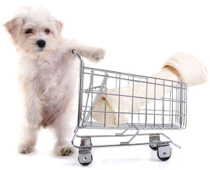 Integrated web site presence in the MPV Marketplace on mypetvalues.com where targeted pet-owning consumers go to get great values on their dog and cat related supplies and services. Promotion tracking through Google Analytics and special MPV web reporting. High touch, extremely knowledgeable account service to help your promotion be successful.